European investors are facing a year of economic diminution and uncertainty. A number of underlining forces are working in tandem to bring about a declining consumer price index and a depreciating currency. The monetary leaders of Europe are now faced with the prospect of real deflation gripping the continent, for the first time in five years. This arrives as the Euro has already lost 14% in value against the American dollar during the last year. Consumer prices have dropped 0.2% on an annual basis in the Euro-zone. This is a far cry from the ECB (European Central Bank) goal of 2% inflation. It will be difficult to stoke prices with sluggish growth and a 50% decline in world oil prices. However, if one does not account for volatile energy and food prices, the European inflation rate registered 0.8% last month from a year earlier. European financial leaders are divided in what should be done at this point. 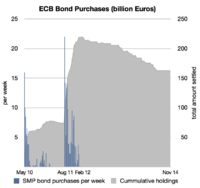 Since last June the ECB has cut interest rates twice. These rates are now at historical lows and are now in negative territory. There is nothing more that can be done on this front. The alternative would be to engage in a policy of more quantitative easing. German objections stalled this effort in 2014. Already last year the ECB had offered lower priced long term loans to banks, in an effort to encourage more consumer and business lending. The Central Bank had also initiated a policy of buying certain asset backed securities. Bank officials want to expand this effort and to begin to purchase sovereign debt. That is individual government debt that is being sold by various countries throughout the Euro-zone. Germany has continued to opposed this final effort in quantitative easing. Stocks markets which had been in a pattern of decline over the last few days in the United States and Europe rebounded sharply yesterday. Investors are becoming more confident that a stimulus program will be enacted in the Euro-zone soon. It will bring about a major rally in most stock exchanges for Europe this month. The expectations of more quantitative easing have also brought the Euro down to a 9 year low in value. The Euro dipped to $1.18085 yesterday against the United States Dollar (USD). Bond yields have also declined to record lows in a number of countries. In Germany yields on the 5 year notes are now in negative territory and the 10 year yield is at a low of 0.433. Longer term borrowing costs have declined to historic lows in Austria, Belgium, Finland, France, Germany and the Netherlands. The ECB will next meet on January 22nd to decide what further actions will be necessary to stave off deflation and low growth expectations. A downward spiral in prices will lead those nations with heavy sovereign and internal debt loads to increasing financial difficulties. In other words, debt will become more burdensome to them and much harder to pay off in a climate of declining prices. A forecast of low economic growth for the year in most countries throughout Europe, does not allow the option of growing faster than present debt accumulations. The upcoming ECB meeting will be clouded by the prospect of a general election in Greece to be held on January 25th. If the left-wing Syriza Party wins the election, they have promised to roll back many of the austerity measures put in place by the present Greek government. These policies have actually allowed Greece to accumulate a surplus, in its primary government budget. If you take out interest payments on the massive sovereign debt, the Greeks have brought their federal budget back into balance. However, the Greek people have tired of austerity and although growth has returned to the country, it is after a terrible recession that lasted a number of years. If the Greeks decide to abandon the present financial policies they will have little choice but to exit the Euro-zone. This would allow a devaluation of a sovereign currency, which will make the Greek economy more competitive internationally. Although at the same time Greece will lose many of the advantages that it presently possesses, by being part of the larger trading and currency zone of Europe. 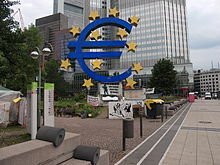 If the ECB decides to move toward more quantitative easing which a number of analysts state is all but inevitable, the Euro will tumble in value around the world. An advantage for the 19 nations in the Euro-zone, will be that a declining currency will make European exports more competitive internationally. 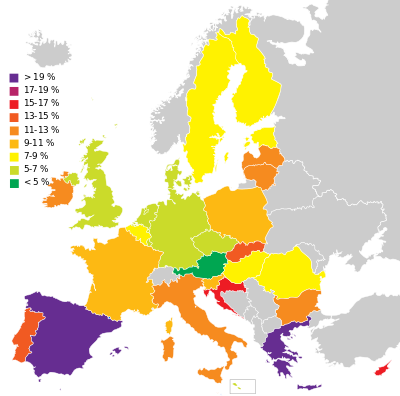 The problem is the largest trading partners for most countries that use the Euro, are already part of the common European market. Europe as a whole avoided a recession in 2014, but it matters little with the general lack of economic growth in the region. Unemployment in Europe is remaining at the stubbornly high rate of 11.5%. The rate of joblessness in Italy for example rose to a high of 13.4. The problem can be seen from the Mediterranean to Scandinavia, and in the east as well. Only in Germany, did the rate of unemployment actually drop, to the lowest rate in more than 2 decades. At 6.5% in December of 2014, the German economy is nearing full employment. A weaker Euro in the short term may be an advantage, especially for those companies who wish to export outside the currency zone. Although devaluation cannot be a substitute for growth in the long run, it will bring temporary benefits. Economic expansion is the only way that the countries using the Euro, will be able to manage both internal and external debt. It is likely that the Euro will continue to decline in value, eventually reaching near parity with the dollar.